When you hear the words “scratch cooking” or “cooking from scratch,” do you envision hours spent confined in your kitchen, slaving over a hot stove, making elaborate, time-consuming meals? “Ain’t nobody got time for that!” is probably what you’re thinking. More than likely, that’s probably what your grandmother would have been thinking too, especially since she didn’t have all of the modern conveniences that we have today. 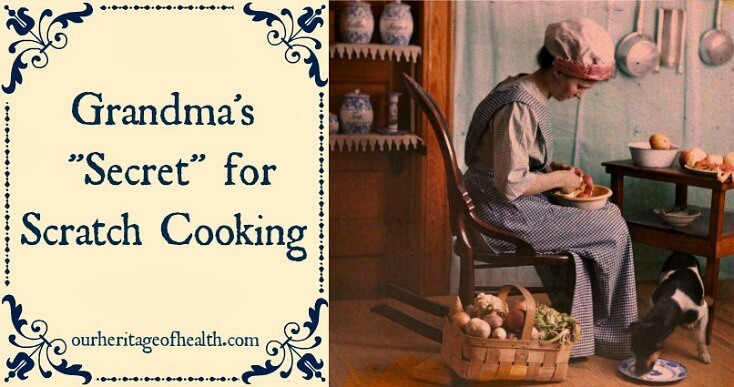 And yet, many of our grandmothers and great-grandmothers prepared three, healthy and nourishing meals a day without tools like food processors, blenders, dishwashers, etc, and many of them even did it without modern refrigeration and electricity too! The question is, how did Granny do it all without running herself ragged? 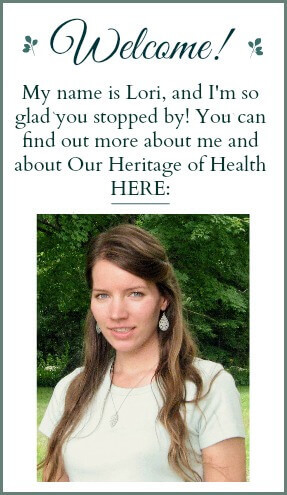 How did she prepare meals from scratch without using the processed, packaged ingredients on today’s grocery store shelves and still have time to clean and do laundry and sew and spend quality time with her children? Well, Granny had a “secret,” something that we’ve largely forgotten in our modern day. The fact is that Granny didn’t do it all, even though it might seem like she did. After reading through The Granny Plan: 12 Steps to Everyday Home Cooking by Kathy Block of Granny’s Vital Vittles, I realized that one of the key things that Granny had learned to incorporate into her life was the art of balance. “Granny made all her family’s food from scratch. Does this mean she made 3 course meals 3 times a day? Hardly! Most of the meals she produced were simple affairs, not company cooking. That was reserved for special occasions. Simple, nutritious square meals were everyday fare, with fancy meals reserved for Sunday or holidays” The Granny Plan – pg 31. Granny didn’t worry about trying to serve fancy, elaborate meals on a daily basis. Her main focus was on the nutritional value of those meals, not on whether they were the sort of “picture perfect” meals that would impress other people. Granny was content with serving tasty and healthy meals to her family, and she didn’t stress over trying to make each meal perfect. She always did her best, and she learned many tips to improve her cooking over the years, but she didn’t worry about trying to make every one of her meals five-star restaurant quality. She was satisfied with being a good enough cook and left it at that. Granny’s focus on simplicity also allowed her to be more efficient in the kitchen and to have enough time to get everything done that she needed to do. Because Granny kept everyday meals simple, she was able to put together a nourishing meal without having to spend hours on planning or preparation. Many of the meals we think of our grandmothers being famous for are the same simple meals that were staples in her home. She could make these meals completely from scratch with ease because she had put her focus on mastering simple dishes rather than striving for an unrealistic level of perfection in her kitchen. If you want to learn how to cook from scratch like your grandmother did without feeling completely overwhelmed, I would definitely recommend reading through The Granny Plan. This guide gives step-by-step instructions and advice for how to incorporate simple routines to your kitchen so that you can prepare nutritious meals with efficiency just like your grandmother. 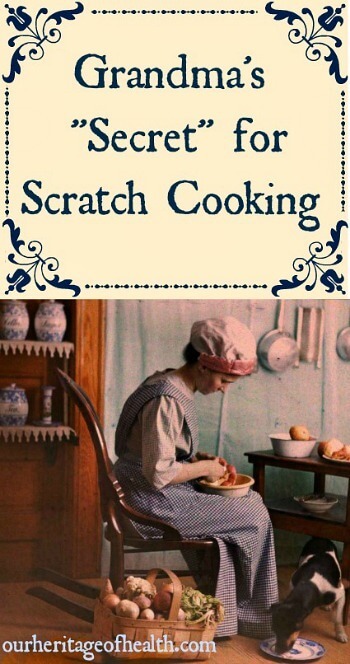 This down-to-earth, grandmotherly advice is perfect for beginning cooks and for those who are new to the idea of real food as well as for those who have already developed some kitchen skills but who want to hone those skills and run their kitchens with the same simplicity that Granny had mastered. If you don’t know how to cook, then cooking from scratch might be a bit too ambitious – at least at the beginning. Maybe you could try to gradually learn some cooking techniques and little by little try to make some more foods yourself to supplement the other foods that you buy. Yes, trial and error is definitely part of it, and a good recipe makes all the difference! Just a reminder, Granny’s job was to cook, clean and take care of the house and kids. Neighbors would get together and help plan events and dinners and work together. I love to hear stories of how they did it.